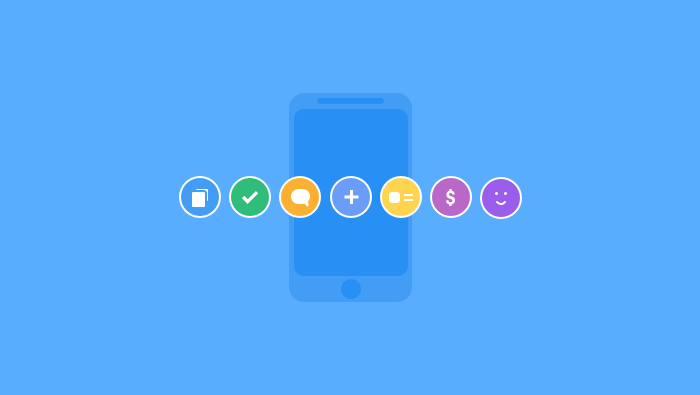 ActiveCollab is now available on both major mobile platforms. We released a brand new iOS app earlier this year and now we’re delighted to announce the Android version. It’s a beta release, so you can still help us shape it further. Let’s see what it can do for you. 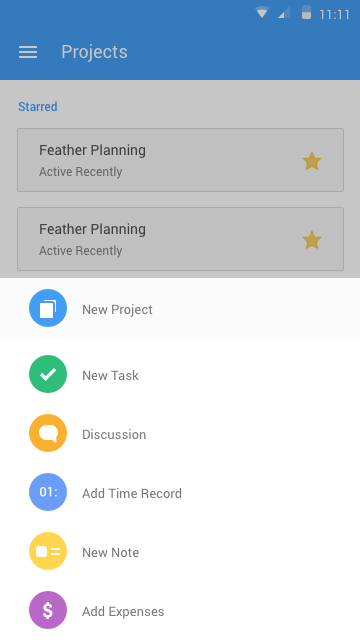 When you’re away from your desk and need a quick update on your projects, the app will give you just that. No need to go through your emails or open each project to see what’s new. 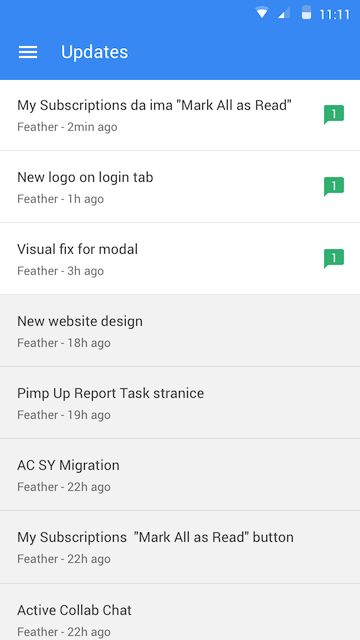 You can see all the news on your tasks, discussions, and notes in one place. Check your tasks for the day. 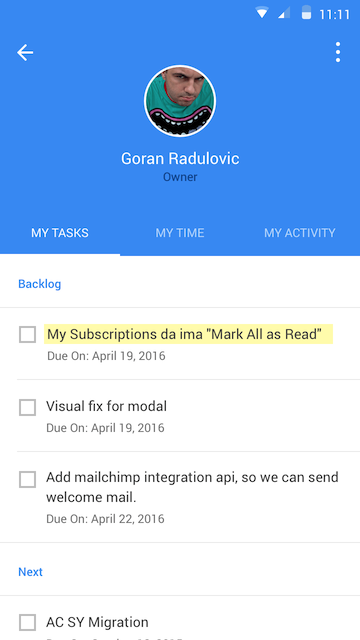 The My Work page shows you tasks per project and task list. There’s no chance of missing the most important tasks because they’re highlighted at the top of the list. You can also check the logged time and your activity. You suddenly get a good idea, remember you need to do something or need your team’s feedback? Wherever you are in the app, you’re never more than a tap away from the Quick Add button. It allows you to start a project, add a task, discussion, note or log time & expenses. 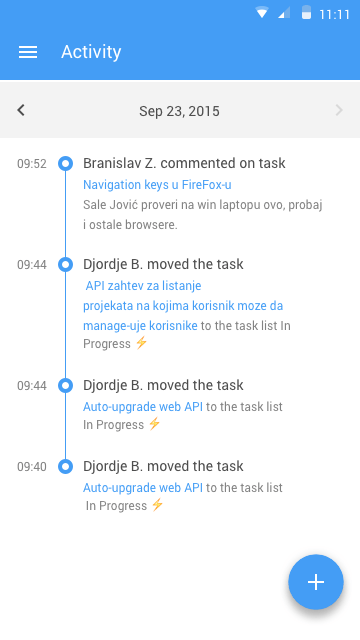 If you need to keep up with the team’s progress and have a general overview of the work being done, but don’t want to receive emails for each new task or comment added, head over to the Activity page. This is very useful for project managers who can get a good idea of the work that’s been done on a daily basis. No network - no problem! You can continue working on a project and then sync when you’re back online. Needless to say, this can be a life-saver. Download the app and give it a try. Don’t forget to rate it! If you have any suggestions or comments, we’d love to hear what you have to say!